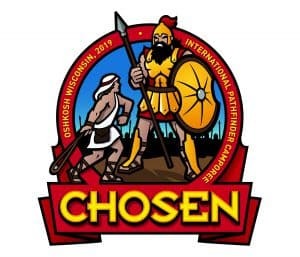 The Chosen International Camporee (CIC) is just around the corner and we can’t wait to see everyone in Oshkosh for this life-changing Pathfinder event. 1. Registration for CIC is definitely CLOSED and tickets are all sold out. Clubs in need of tickets are encouraged to check daily the Facebook page of the International Camporee for postings of people who are reselling their tickets. Better yet, contact club directors from other conferences directly and inquire if the have extra tickets. Go to www.camporee.org under NAD Registration Report and see listing of clubs per union and conference. Pray hard and don’t lose hope! 2. Volunteer Tickets – Email volunteer@camporee.org regarding your intentions to volunteer at camporee and commit 5-8 work hours daily. Specify you have not bought a General Admission ticket. Go to https://www.camporee.org/about/volunteers to see other steps to purchase volunteer tickets. 3. Insurance List – Please fill out the registration form (xlx) and provide all names and info of those who will go to Oshkosh. Deadline: April 30, 2019. Adventurers, Pathfinders, Master Guide Trainees and their club staff, who paid their $4.50 insurance premium as part of their yearly club registration, do not need to pay insurance fee again to go to Oshkosh. But for the rest joining the trip to Oshkosh such as parents, siblings, and club volunteers, (regardless of age but no older than 80), they need to pay the abovementioned premium to be included in our group insurance. 4. Bus Reservation and Local Registration Fee. If a person occupies a bus seat, irrespective of age, then he/she has to pay $220 per person. If you plan to go with the conference bus for a one-way trip, you still have to pay the full fare. Payment of bus fare includes the $30 local registration fee. Sponsorship of the Soccer Tournament (Pathfinder World Cup), Chosen Amazing Race, and Geology Honour (CIC and the Ontario Conference are both sponsoring these said event). Big thanks the Ontario Conference Administration for the huge subsidy they have given for the benefit of our Pathfinders. In addition, as part of the Ontario Conference Pathfinder organization, each one’s moral and financial support to all these initiatives will be highly appreciated and will surely contribute to the success of this upcoming international camporee. 5. Free Registration for Staff Children (Ages 8 and below). Children ages 8 and below are exempted from paying the $30 local registration fee (if family will travel on their own). However, they need to pay the $4.50 insurance premium (if not enrolled with a club), and if they travel on the conference bus, they need to pay the full bus fare of $220/person. A refund will be given to those who paid for their staff children previously. 6. Vulnerable Sector Screening (VSS) – All club staff and volunteers (age 18 and older) should have their VSS done ASAP. No exception. VSS result certification should be no older than 3 years. 7. 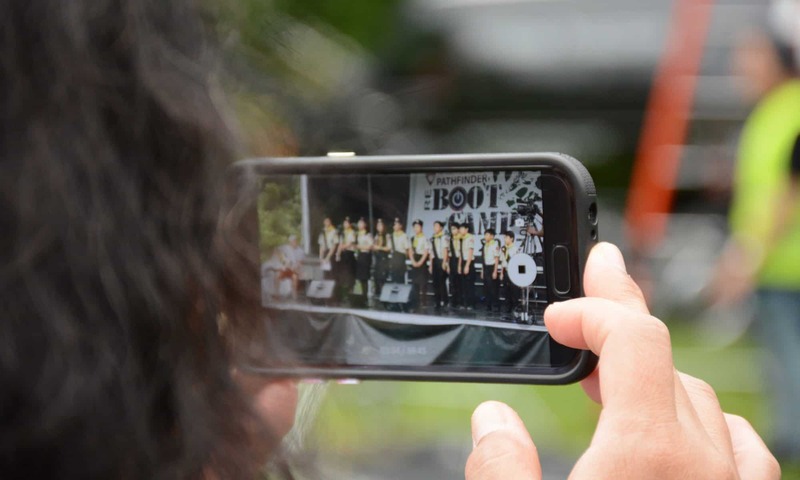 Hosting of International Guests – Is your club willing to host international guests by proving them food and tent accommodation at Oshkosh camporee? If so, please email Penny Lumayor, our OCPC Treasurer, at only_one_cent@hotmail.com and let her know how many guests you can host. 8. Deadline for Local Registration: April 30, 2019. DON’T WAIT FOR THE LAST MINUTE! REGISTER ASAP! * Amount inclusive of roundtrip bus transportation, administrative services, Ontario pin and t-shirt. NOTE: Purchase of Chosen International Camporee (CIC) tickets ($195 USD each) is extra. Buy your CIC tickets first from www.camporee.org before you register with the Ontario Conference for bus transportation and camp allocation. The Ontario Conference has reserved twenty-five (25) 56-seater coach buses to transport people to and from Oshkosh, WI. A deadline has been set by the bus company for us to confirm the final number of buses we will charter. Therefore, each club is encouraged to observe the abovementioned local registration deadlines to facilitate not only bus transportation arrangements, but also other administrative tasks such as allotment of camp space for each club, ordering of camporee shirts and pins, etc. Thanks for registering promptly. Are you ready to trade pins at Oshkosh camporee? Here’s one special Canada pin produced by the North American Division that you can purchase for your club. Hurry and send in your order while pin supply lasts! GENERAL ADMISSION TICKETS AND DAY PASSES ALL SOLD OUT! *Age at the time of the Chosen International Camporee, August 12-17, 2019. All Camporee tickets are non-refundable. However, Pathfinders and staff can transfer their tickets by selling them to another person or club. This is the responsibility of each ticket holder. CYE and the Camporee do not transfer or resell tickets. It is the club’s responsibility to register with the Center for Youth Evangelism (CYE). To purchase tickets and for more details, go to www.cye.org/camporee / or www.camporee.org . If your club name does not appear on CYE’s list, please contact the Ontario Conference office at 905-686-5757 (Toronto Line) or 905-571-1022 ext. 212 to resolve the problem. Do you have tickets to resell? Please contact the clubs below and they’ll be happy to buy your extra tickets. Click here to see list of clubs. Check out the videos below to learn more about hosting international clubs, baptism at camporee, etc. Enjoy! This website is owned and maintained by the Pathfinder Ministry of the Ontario Conference of the Seventh-day Adventist Church.